Trying to outdo himself in PR grandstanding and in silliness, the wacky Midwest chapter leader of SNAP, Peter Isely, recently wrote a letter to the U.S. Attorney's Office in Milwaukee asking that it criminally investigate the Archdiocese of Milwaukee for merely transferring funds to a cemetery trust years ago. In 2007, Cardinal Timothy M. Dolan, when he was Archbishop of Milwaukee, created a $57 million trust fund for the archdiocese in order to provide sufficient funds for the ongoing and future care and maintenance of Catholic cemeteries, which is exactly what the transferred money had always been intended for. Dolan also had to create the trust fund because it was "required by state law and mandated by the archdiocesan finance council." Yet Isely apparently believes that any and all available diocesan monies, including those specifically to be held in trust for other purposes, should be going solely to abuse claimants and their contingency lawyers, however questionable or long ago the claims. Thus Isely claims in his letter to the U.S. Attorney that the $57 million transfer by Dolan to the cemetery trust is evidence of "fraud" worthy of a full fledged federal criminal investigation. Meanwhile, rather than providing any real support for actual abuse victims, which is its purported mission, SNAP continues its strategy of filing bogus legal claims as a way of garnering publicity for itself. Just last month, the International Criminal Court (ICC, in “The Hague” in the Netherlands) flatly rejected a wacky request by SNAP that the ICC investigate Pope Benedict XVI and the Catholic Church for "crimes against humanity" for their handling of abuse claims many decades ago. And then in April, a federal judge roundly rebuffed a lawsuit by SNAP by which the group aimed to harass and intimidate peaceful Sunday Mass goers. The judge even dismissed SNAP's lawsuit with prejudice, meaning that SNAP is forever barred from ever filing such a silly suit again. In his most recent PR stunt, Isely was likely hoping a lot of that $57 million that Dolan transferred in 2007 would end up going into the pockets of his friend, contingency lawyer Jeff Anderson, who, in turn, would further line the coffers at SNAP to pay for its salaries and expenses. 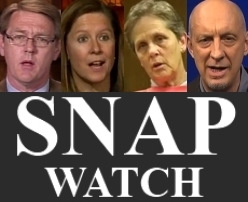 Once again, we see that SNAP will pull just about any publicity stunt imaginable – which the mainstream media will always happily report as news – in order to grease the pockets of their contingency lawyer-friends, with whom we have shown repeatedly SNAP works hand in hand. LC returns at 454PM on the 17th. Readers are welcome to consider whether indeed “Wow! [I ] just blew a circuit.” Was there something in the material that demonstrated that, or must we simply take LC’s authoritative declaration for it? I have been using the “self-licking ice cream cone” image for quite some time in material here. Apparently LC hadn’t noticed it since it is only “now” that he knows about it. Or, if LC does know what it means and has known all along, then he hasn’t responded by demonstrating how he thinks his material does not qualify as “a self-licking ice cream cone”. If LC didn’t know what it meant, then my assumption (grounded in my familiarity with his material here) turns out to be correct. But with LC and philosophy and thinking … Yes, I do feel that frequent explanation is required, since I can see no evidence of comprehension in his responses. Unless, of course, he is deliberately not-responding. And we certainly can’t rule that out as a possibility. I presume we shall not be getting an explanation of why he was so attracted to the “self-licking” bit. But this self-claimed elite Philosophy grad and practicing attorney does seem to gravitate toward the pigpen, as we have seen before. If there is any demonstration of where I am “pseudo-intellectual” and “ad hominem”, LC might want to put it up; otherwise we are back to being distracted by unsupported epithets here – as usual. Although his defense of his selection of the Hume quotation in light of my analysis might be enlightening. But let me be skeptical and imagine we aren’t going to see it. Since we haven’t established the Harvard creds, then the ketchup-splotch about any “reunions” is what it is. Is he under the impression he would – if he were to attend – not encounter me there? More presumption. And no serious material – although by this far into his comment I imagine we aren’t supposed to notice that. I “talk about Harvard” simply because none of the material we have seen from LC demonstrates the type of competence and maturity in handling material that people would expect from an elite university. Nor does this present comment of his effect any changes in that regard. He will be in Cambridge – he assures us – “enjoying some of my dear old friends”; and would these be some of the persons whom he once assured us that if we thought he was unimpressive, we should see some of his friends? Such lucky people they are. I imagine he has cleared his court calendar and postponed all other recreations as well. And will this purported junket be funded in any way along the lines of what I had previously suggested? We then get a travelogue bit about Lourdes. The purpose of this excursus? It’s not for “vacations”, I presume. However – lacking any other attractions – Lourdes may well be a destination for those (as I said before) who wish to place themselves near something that seems to speak to the human need for Meaning. But – as usual – rather than address the challenging material I have put up about Lourdes, LC will simply throw some coconuts at it all. Ketchup-splattered, of course. Memo: we aren’t supposed to notice. But apparently an awful lot of people do sense some sort of Meaning there – or else b) they go in their millions to an otherwise attraction-less locale simply to buy tee-shirts and ballcaps (to wear sideways, perhaps). But it has to be that (b) for LC; otherwise he has some ‘splainin to do – and he don’t do no stinkin’ splainin’ . Ovvvvv courssssssse. And he went to Harvard too. We needn’t take JR’s word for it, we have LC’s word for it. Whatever value that alleged education has for conducting deliberations on this site is anybody’s guess. But it’s a ‘credential’, allegedly. In the good old days (which still exist on various sites in the Webverse) you could tell a story and nobody would have the bad taste to question it. Let the record show that it is LC who owns the acute description “a sinister movement of colluding deviants, calculating lawyers, and biased media bent on getting money for nothing”. I was particularly impressed by the acuity and vividness of “calculating deviants” – and am actually a bit surprised: this level of material from a commenter whose material doesn’t usually rise to such a level is indeed startling. But one must take truth where one finds it when dealing with the cafeteria. Ex ore infantium, as they say. D’Antonio’s book certainly went quite a way toward establishing the “calculating lawyers” bit; and the media angle has been discussed here often enough. LC then rolls on, apparently working the angle that Nothing Has Changed. If he could offer some material in support of that assertion, especially in light of the extant research material and numbers that we do have, then let him put that material up here. But let me be skeptical and say that we won’t see any of that. Instead, we will get more of the level of material we have gotten in this comment of LC’s. Readers may consider for themselves: would a person as largely educated and professionally-called and accredited as LC claims to be ever waste his time with such a tawdry collection of contentless-snark, especially when there is serious material that might be engaged? But that’s precisely the problem here: it was either snark or else try to explain the incoherences and weaknesses of his position (the Hume quotation, again, would be a handy starting-place). The alternative explanation, of course, is that we simply aren’t dealing with such a person here in the first place. If one wants to deploy Ockham’s Razor, that would be the explanation of choice. Actually, I am not looking to “debate” all the claims; I am and have-been looking to find out about them. As I told commenter Ecker not long ago here. But this is precisely where LC and all of that ilk suddenly don’t want to see much analysis at all. Instead, they’d like it if we could all just sit around the internet campfire and tell ‘stories’ and go gaga … then this would be the cookout that LC and the Gang want to keep going for as long as they possibly can. And don’t worry about running out of burgers – if the burgers are imaginary, then with the right type of party-goers, you can never run out. It’s sort of like a miracle, isn’t it? Just with story-burgers rather than loaves and fishes. That’s where LC wants us all to be. And is not at all amused that the invitation is not accepted. Lastly, although apparently one cannot rule out that LC has taken to addressing some phantasmagoric interlocutor while tapping out his comment (it does seem to happen a lot to certain types here), I would point out for the record that the first challenge in the Catholic Abuse Matter is to ascertain What Happened and How Much Of It. That being said, it is the Abuseniks who are distracting and derailing the process here, because they really don’t want those questions seriously looked-at. It’s their story-way or the highway. “In fact, in time, the church will be able to say and will say that the so-called sexual abuse matter never happened”. Well, in regard to the stories, we haven’t had much evidence here that has held up to even modest analysis. And I for one would say that the Catholic Abuse Matter certainly has indeed happened; but the next question is: How did it happen? How did so much based on so demonstrably little manage to keep itself rolling for so long? Part of the answer is that the internet enabled an awful lot of story-telling, and the media for the most part and for its own reasons simply accepted those stories without question (to ask a question is, as we all know, merely to re-victimize; just as – in certain philosophical circles – to ask a question is to victimize the preferences of the preferrer). Stories and more stories: abuse, elite education, professional and mature legal career … stories and stories. But when we try to look closer … what do we get? We get what we have gotten from LC here. Do go on and on and on. "It" was never about obeying the law (Canon or secular), or eliminating sexual predation on minors. "It" was always about attacking the Catholic religion, and the faithful adherents of Catholicism. "It" has always and only been about antiCatholic bigotry. And, how can you tell the second statement is true, Angelonius? Read the posts at TMR from the self-proclaimd "victims" of Church clergy. Then, I refer you right back to your very own honest question. Wrong again princess. It was about compensating the already harmed and protection of the unharmed. Nobody but Catholics care about Catholicism and nobody's stopping you from caring about it now. Quit lying. Oh Jimmy, please remember your oft-claimed position that you're NOT AGAINST religion, you are only AGAINST those rascally Catholic bishops (you know, the "Corporate Church"?) that insisted on covering up the "dastardly deeds of dem deviants". No one forces any religion on you in the [good old] USA, you do have a choice to be as much of an atheist as you can rationalize (not laughing, really), so, redemption is not something you need worry about if you aren't a "player", anyway, right? "The belief that some cosmic Jewish zombie can make you live forever if you eat his flesh and telepathically tell him that you accept him as your master, so he can remove an evil force from your soul that is present in humanity because a rib woman was convinced by a talking snake to eat from a magical tree." I am however worried about your "humanity" [edited by moderator]. Only half of what I post has been printed here. My response to your line about being against religion was not posted. no obscenities just too much accuracy, for Dave I guess. I'm not complaining. I'm just telling you. You don't get everything I write. So don't think I haven't responded to your nonsense when i have. Oh yes and you believe ( along with 40% of all Americans) that Jesus is coming back soon from outer space to kill everyone.What could be delusional about that? AE Housman has this kid standing in the town square. He says, ‘Good people do you love your lives, and have you ears for sense? Here is a knife like other knives that cost me eighteen pence. I need but plunge it in my heart and down will come the sky and Earth’s foundations will depart and all you folk will die.’ Right? When you die, you loose everything. The world ends with your death. That is it. The monoplane is the only plane. Adieu. Where there is no God, there will be evil. Where there is god, there will be quite enough evil, thank you. Apparently JR doesn’t really have anything to contribute in regard to Ibsen’s The Master Builder. Apparently he simply mentioned it, and can’t be held responsible if anybody hastily and dumbly jumped to the conclusion that he meant anything relevant by it. But – we are assured – he had twelve “solid” years of high school. One wonders why Ibsen has stayed in his mind – so to speak – after all these decades, yet he can’t think why Ibsen and this work of his has done so. Wow math isn't your game nor is reading. A, I didn't read Ibsen in high school but in junior college still more than 4 decades ago.. B, I gave my analysis connecting the spa town and it's bourgousie in "Master Builder" to Lourdes. C, If I had had "12 solid years of high school" I'd be in the Guinness Book of Records for being the most stupid student ever. Back to Ibsen, a friend of mine picked up at a garage sale. A first edition (in English) of Ibsens plays when he got home he found that the book was previously owned by John Reed, Ten Days that Shook the World, the film Reds is based on his life. It had Reed's name and address in the Village written in his own hand. Lucky find. Just FYI. P a first edition is technically only( and most valuably) in the intial laungage published. But a first edition in English is just that. Which told me Mr. Reed was up to date culturally. I don't know, Jimmy, the only place you can find evil, with hard evidence – not just baseless claims based in bigotry (such as are most in the Church abuse matter), is where God has been rejected. And, as I've been implying for some time, there seems to be a strong link between the agenda of the anarchists-atheist-satanists, socialists-communists, gays, feminists, pedophiles, polygamists and all the rest of the Godless misfits and malcontents our overindulging culture spawned since the 60s. To LC’s comment of the 18th at 821PM. The quotation from Housman is to Number XXVI of his “More Poems” collection, originally published in 1936. The actual poem begins “Good creatures, …” rather than “Good people”. The difference between LC’s quotation and the original text may be because of a) his unknowing use of an altered text or b) the deliberate (on his part and/or the part of the alterer) changing of the text from “creatures” to “people” in order to avoid the hefty implications of humans-having-been-created that exists in the original. In the altered form LC uses here, the rather significant complicating differences between Housman and the LC/Monoplanar position are neatly (if only for the moment) eliminated. The text as LC quotes it actually constitutes the entirety of Number XXVI. The standard Literature 101 questions would be: Is Housman speaking through this character and thereby revealing his own position? Or is Housman using this character’s speech (i.e. the text of the poem here) to highlight a specific movement of the human mind and soul, but not necessarily one that Housman himself supports? In so short a text, it is hard to know simply from the material Housman provides in the poem. However, that “Creatures” constitutes a hefty nugget to factor into the assessment (except that LC and whoever changed the text slyly got rid of that “Creatures”). In his other works, especially clear in A Shropshire Lad, Housman puts various positions in the mouths of various speakers; indeed he has ghosts or revenants come back to share their observations. So there remains here a substantial question of the difference between what Housman wrote in his text (expressed through a particular character) and what Housman himself believed (such that somebody might later try to support his own position by quoting Housman along the lines of ‘A.E. Housman said …’ and so on). Specifically: does Housman mean to tell us that he basically holds for a Monplanar view of existence? Or does Housman here simply put into poetic form a particular, perhaps even widespread, view about life that he has observed in others (but does not necessarily hold himself)? Again, that “Creatures” assumes a significant role here, although – I think equally significantly – that is precisely the bit that has been altered in LC’s comment. I say “equally significantly” because I think the larger value here is to realize that with LC’s comment we are seeing clearly what would be called the Proof-Text phenomenon: persons use quotations not to expand or open discourse and deliberation, but rather merely to ‘prove’ the conclusion that they have already reached. This is usually associated with Fundamentalists (of the American Protestant variety) but the fundamentalistic mind-set need not be limited to any particular ideology or dogmatic corpus; here we see this mind-set being deployed in order to deploy a Proof-Text of LC’s personally-preferred Monoplanar position. The Proof-Text constitutes a form of the ‘argument from authority’, i.e. : See – even so important and well-known a writer as Housman agrees with me! Or is Housman noting with rueful respect the all-too-human tendency (especially in a certain species of self-absorbed, self-important and sentimental young adults) towards solipsism: defining all reality merely by how it relates to yourself and even presuming that without your own self somehow observing and/or participating in reality, then reality would cease to exist? This almost pitch-perfect childishness is precisely the point to which LC leads us in his comment: when you die, reality ceases. All reality on the Monoplane ceases? And even Reality on the Metaplane? Really? But – in an equally vivid demonstration of the less savory characteristics of the Proof-Text mentality – it doesn’t really look like Housman agrees with LC at all; especially in light of LC’s altering or his use, of an altered version of his purported Proof-Text. This also connects to JR’s recent bit about not being “the most stupid student ever” and his even more interesting revelations that he went to “junior college” and then discovered that simply by reading on his own “one can educate oneself”. Marvelous. And the results of that rather self-servingly convenient discovery are in the record here and elsewhere for all to see. I am reminded so very clearly of Captain Reynaud’s comment to Rick when introducing him to Major Strasser: “Rick, the Major is one of the reasons the Third Reich enjoys the reputation it does in the world today”. Just so. And – as always when feeling caught-out – JR has a ‘story’: in this case that he not only a) just happens to have a friend who stumbled across a copy of Ibsen’s work but that b) it was a first-edition and that c) it had previously been owned by John Reed and that d) it has Reed’s address in his own hand written into it. In other words – in best magician’s manipulation – keep your eye on the distracting bevy of birdies suddenly sent up into the air, and stop thinking about the nonsensical aspects of JR’s (‘educated’, but of course) application of Ibsen to Lourdes. In which regard – since both JR and LC have brought up some aspect of it: why would all these people come to Lourdes if there were nothing of interest to them? The fact that all those hotels are there (LC) simply raises more questions than it answers. And if Lourdes is a “fraud” (JR) then who is perpetrating it and how have they pulled it off for so very long? There is something about all those millions of people that provides an answer to these otherwise rather inexplicable statistics: human beings have a need-for and a sense-of Meaning (not just ‘meaning’ with a small-‘m’) and somehow Lourdes has been relevant in addressing that need, for millions over 150 or more years. More consideration of that need-for and sense-of Meaning is indicated, I would say. And the role of Lourdes and similar places in meeting that need. If, on the other hand, one wishes to argue that people are stupid like cattle and can be hoodwinked – in other words that you can fool most of the people most of the time – then we see quickly into just what slag-heaps the Monoplane leads us: not only do most human-beings lack the ability to make substantive and accurate judgments about the nature of themselves and their existence, but also that there exist such elite un-maskers as we have seen in some Wigs here who actually see clearly that this is so; life is what it is and then you die. I would, lastly, note that in neither LC’s deployment of Housman (similar to his recent deployment of Hume) nor in JR’s assertion that you don’t have to have an education to be educated (highlighting with pitch-perfect precision my cargo-cult analogy: you don’t need to know about the theory and dynamics of radio to talk into a half-coconut that is tied to a vine that is tied to an empty ammo-crate) do we see the workings of an educated mind, capable of not simply reading, but of assessing, placing in context, considering alternatives, and so on. All we see here is Proof-Texting: which is something – as I’m sure JR and LC and similar others would agree – that any stereotypical backwoods, half-crazed fundamentalist bible-thumper can do without the confusions, complications and delays of having gotten any education whatsoever. Where did I say you don't have to have an education to be educated? Do you ever stop inventing my arguments? All religions are frauds. Yet people come to them everyday. Who's stopping them? P.T. Barnum had it right: "There's a sucker born every minute." But, little Jimmy, you keep telling us that you don't hate Catholics or the religion, yet, you can't resist regularly engaging in juvenile (a chronic emotional state in which you seem to thrive- good memories, perhaps?) criticisms of her dogma and doctrine. As a matter of fact, I would bet that you've contributed more antiCatholic (hateful, bigoted, distortions) comments than anyone else. You slammed your own door on me and every other victim of your church's abuse, You've repeatedly slammed it on every attempt made at dialog. i have written many times most failed to be posted giving you D and you P credit for my dropping all civility here. I now give you none because you both have never given any. The readers here (though they may be shocked a little at what I write) know full well that what I've said about your lack of civility is the truth. They can read. First: You get every fact wrong. I'm obviously considered less than by you. Who are you to "play" the superior person? Why do I tell my little stories? So that you may know me as a human being. To me it's important that my "opposition" know; I am like them, just a person. But you attack those attempts on my part, . Leaving equinimity where? Secondly it seems pretty obvious to me (and to everyone else here) that you have been making ad hominem attacks as away of degrading and de-humanizing "the enemy". You've treated me and everyother victim who's posted here with immediate scorn basicly for our not being you ; or our not having your "education" and or belief system and or analysis of the way things are vis a vis this "scandal'. No one cares what you "think' because, if it doesn't toe your line you mock what they think. So attack away , pretend the adhominems don't exist and that you are merely being "reasonable". Nobody's fooled by your foolishness or your attempts to degrade.You're so obvious. ….think we just heard that door slamming…. And now we have JR’s from 734AM this morning. The Wig of Victimization is firmly clamped upon the head and thus the high-ground is implicitly claimed. This pre-positioning neatly serves to ward off any skeptical analysis – at least in the Playbook, which is now getting on in years. In best Playbook form, JR demonstrates here that no “dialog” is possible unless we buy the victimization claims to begin with – thus we are talked into giving away the farm before we even get to the “dialog” stage. This is akin to Hitler’s sly gambit: as a precondition for conducting ‘discussion’, the Czech government was invited to agree that the Sudeten Germans had a legitimate cause for wanting to belong to the Reich. But once that highly dubious and contestable issue was given-away, then there would have been no gravamen for “dialog” left – except for whether Hitler wanted coffee or tea with his victory lunch. I can make no sense of JR’s next paragraph. It seems to say that most of his postings have “failed to be posted” (once the expletives were deleted how much was left of them?) and thus – somehow – that this means he is now presuming that he is justified in “dropping all civility here”. Do his numerously-deleted expletives qualify as “civility” according to his vast (self-)education? What less can we expect in the way of “civility” now? Readers are now informed that JR just knows that they know that what he has “said about your lack of civility is the truth … They can read”. Does JR’s (self-)education not prepare him for the possibility that the readers, being able to read, would be able to read all of his own incivilities (those, that is, that have not risen to the delete-able level of overt expletive)? Anyhoo, he then turns his attention to my material. His material here consists of assertions that are not supported by any demonstration whatsoever. Thus I “get every fact wrong” – but no examples of such ‘wrong facts’ are given. Then an incoherent statement: “I am obviously considered less than by you”. The (self-)education could use some perusal of a grammar book (perhaps obtainable at the library of the University of Garage Sale). Then he claims that he “tells [his] little stories” so that “you may know me as a human being”. This is a sly ploy indeed. It would instantly place me in the ‘insensitive’ position of not wanting to “know” him “as a human being” – except that his “little stories” never reveal much about himself in the first place, but rather serve merely to imply that he must be believed because he is so very importantly involved in great and relevant matters. Thus he just happens to have a relative who was simultaneously an assistant to the Director of the FBI and an LAPD police lieutenant; he just happened to have been at an Irish hospital that was under discussion; he just happens to have relatives who “vacation” at Lourdes; he just happens to know somebody who came across a first-edition of Ibsen that was owned and written-in by John Reed. The readers’ attention is invited to the fact that even if these “little stories” were true, they would reveal next to nothing about JR “as a person” in the first place. But they would serve as sly – sleazy, perhaps – levers to try and crowbar the readers’ sympathies toward him (and thus toward whatever issue he was seeking to influence their sympathies). Thus then what I “attack” is not poor JR “as a person” but rather the material (expletives deleted) and “little stories” he puts up and the strategies beneath them and implications that flow from them. This is a part of university-level discourse that apparently JR doesn’t know about; secure and satisfied in his presumption that anybody can fill up mental shoeboxes full of 3×5 cards and that’s all an “education” is, really. Which presumption is right up there on a par with the presumption that all you need to command the silver birds and the great canoes is something that looks like a microphone and something that looks like a wire and something that looks like a transmitter and some noises that sound like intelligible discourse. But the Playbook scam is to quickly seduce people into accepting the Wig of Victimization and then – having given away their chance to look carefully at allegations – you can quickly make them feel guilty for ever having doubted you “as a person” to begin-with. So very very very neat. Thus too then, the point about “equinimity” is revealed for the sly gambit it really is: because the only way to purchase it from those wearing the Wig of Victimization is to give away all your rights to examine their claims. And once you have done that, you have given them the Game and you are no longer in a condition of “equinimity” in regard to them at all. As with Hitler, the only way to treat him as an equal is to give him complete power over you and the Game – which is as dubious and bad a deal as can ever be set-up. We are then informed that it is “pretty obvious” to JR “and to everyone else here” that you have been making ad-hominem attacks (you mean, like calling you “Fool!” or … something like that?). I have not “treated” JR “and every other victim who’s posted here” because I am still trying to figure out how to determine who is and isn’t a victim – which is a position that has clearly brought out the nasty and the sleazy in many of the erstwhile victim-commenters. Vampires always smile, until you smile back and politely reach for the holy-water … and then the fangs come out. Why should JR complain about what I might or might not think about his “education”, since he seems very satisfied with his own? Rather: JR is upset that his own ‘education’ doesn’t seem to stand up to much analysis at all, and his preferred solution to that is to get other people to stop trying to deploy their own education in the matters dealt with on this site. Since he appears to have brought a Pop Warner football to a varsity baseball game, he now wants everybody to accept that a Pop Warner football is an acceptable baseball and that anybody who thinks otherwise is merely hateful and ‘showing off’ and making-fun of him or otherwise not treating him “as a person”. And he whines that “there has never been the offer from you to agree to disagree”. Why should there be? He and his ilk have made stupendous claims and allegations, that have been thrown into the public forum along with the demand for public (and even legal and legislative) action, and when it turns out that no analysis has yet supported whatever claims and material we have managed to acquire on this site, yet he now claims that we should all just “agree to disagree” as to whether or not the claims and allegations are or ever were genuine in the first place. Thus the sleazy donning of the Wig of Sweet Fraternal Reason, and coyly implying that the only real problem here is a refusal to just shut up and let The Ball Keep Rolling, whether or not we ‘agree’ that the Ball should be Rolling in the first place. Ja! And why were those Czechs so lumpishly and oppressively stubborn by refusing the poor little Sudeten Germans the chance to ‘go home’ (by bringing their German ‘home’ deeply into the Czech territory) … ? Snobbery? In the face of the level of material that sometimes has to be dealt with here, the bar for what might constitute “snobbery” is set mighty low indeed. And – but of course – to the cargo-cult native you don’t have to know very much more about radio dynamics to be considered “elitist”, especially if you point out the coconuts and the vines and the empty boxes intended to pass-for radio equipment. So I will say back at JR that he is “so obvious”: he gives away, time after time, the classic Playbook gambits that have helped this Stampede get started and keep-rolling for so long on so little demonstrable basis. And – as I have said several times before – it is precisely because he doesn’t realize just how weak the core Victimist Internet Stampede position is that he constitutes such a danger to it: he gives the Playbook gambits away precisely because he cannot imagine that it could be exposed. Since his own ‘education’ easily makes room for the Playbook, and since he presumes he has just as good an education as anybody who actually went to college or anybody who can simply think-things through, then he simplistically thinks that the Playbook can pass muster anywhere and everywhere and all the time … and gives the Game away time after time. "Lumping in anarchy and socialism with devil worship. Lumping "gays and feminists" with pedophiles! [edited by moderator]"
They so hate it when we use their own dishonest tactics against them. We've learned well from the masters of deceit, distortion and deception; don't you like the sight, touch, taste, sound or smell of our broad-brush smear-tactics? How about personal attacks, including on family members, the lefts favorite tactic? Don't our loosey-goosey pseudo-links, lack of evidence and conspiracy theories deserve the same respect and consideration as yours? At least your peers won't lose their vocations (a bit more than a lousy job), friends, family, public trust and freedom. Our innocent priests and all faithful Catholics know all too well the sight, touch, sound, smell and taste of your tactics. Now, you're going to learn to experience the very same distortion of the "senses". Hey you had relatives you said owned gay bars. It seems pretty hypocritical. What can I say? You put that out with great big spoonfuls of homophobia. And I'm supposed to let it pass? What innocent priests? Give me a number? Where are the innocents, that haven't been judged guilty by a jury. You got none. LOL! You just can't and won't stop. Do you think the readers here don't see what you do? Well everything I've written is true You don't like it?. Don't read it. You, LOL, really can't stop and don't even know you're doing it. Or you know full well and you choose to attack constantly because that's all you've got. That's the whole shebang? .What a job you do convincing yourself that you're the victim. LOL! You don't seem to be affecting the majority of Americans or Australians opinion about the VICTIMIZED though. But do go on LOL !Knock yourself out. LOL! A "low bar for snobbery" well that told me. LOL! You're funnier than Mel Brooks. You've missed your calling. And P how does my education "not stand up" ? After everything you've been wrong about? Hell I'd still have better odds for accuracy than you if I was throwing darts at aboard blindfolded. 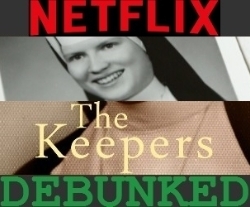 From my perspective, TMR reveals and analyzes the fact that the mainstream media practices a particularly hateful bias against Catholics, when it comes to the minor abuse matter, largely, and also when it comes to anything else where Catholic religo-philosophy may inform social, moral and political issues. The media bias is a fact for which there is no "other" dialogue – facts can not be dialogued or debated – they are facts fit only for reporting. The leftist mentality, and practice, is to not accept fact, it is to revise facts to fit their socio-political agenda, which requires the destruction of the truth. That is also a fact as clearly expressed throughout the history of progressive-leftist philosophy. No leftist regime, organization, or person has ever operated within the concept of fact, or truth. They must lie (if not overpower) to gain control of the population, otherwise, they could not succeed in implementing their oppressive regimes, however briefly. It is also a fact that the media agenda is driven by it's leftist philosophy, as expressed (documented) in it's coverage and treatment of political, social, legal, entertainment, and all religious matters. That is as much a fact as that the unions, entertainment industry and our public educational system are similarly biased in favor of leftist philosophy. So, the political-social philosophy and morals of the self-identifying victims (where there are no witnesses, evidence or reliable memories), media, law enforcement, elected officials, and the legal system investigating, reporting, and prosecuting the Catholic clergy and laymen cases is of paramount consideration when determining the validity and integrity of those cases. The only debating-dialoguing point for conduct at TMR is precisely just how much the insidiousness of the leftist bias and corruption has contributed to the prosecution of innocent priests, and to reveal the extent of lefts ultimate goal of persecuting the Church. 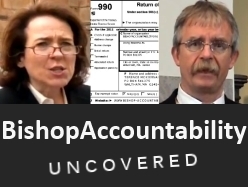 So far, the "victim advocates" at TMR who are "dialoguing" about the legal and media protocols and processes for investigating reporting and prosecuting Catholic clergy has focused almost exclusively on their inevitable deterioration into full-blown Catholic-bashing, and not on any of the particulars, however precedential, corrupt and biased, of the flimsy cases being made against clergy. Not one faithful Catholic TMR commenter has defended guilty clergy or said that truly violated victims should not be compensated, not ever. By the same token, no one, including victim-advocates, should want to see innocent men or institutions, prosecuted or defamed, and no one who is honest should want any [more] financial awards (settlements) going to corrupt attorneys and fraudulent victims when those monies should go where they were always designed to go; to charitable causes (eg. hospitals and hospices, schools, the poor, the persecuted and oppressed worldwide) and to support the universal system that manages and disperses those funds. Only the politically-philosophically biased (antiCatholic) would disagree. And, we hav seen that disagreement stated here on TMR, repeatedly, as punishment for the historic and current "ills and crimes committed by, and moral teachings of the Church". These victim-advocates care far less about victims and much more about Catholic religious dogma and doctrine as relates to their politics and morality. And, therein lies the problem of the so-called dialogue; One side comes at this issue with clean hands, the other does not. It is an absolute certainty that there will not be one responsive or responsible comment addressing any of these points from those victim-advocates that claim to want to dialogue; all we'll see from them is denials, distortions [of our words and concepts] and more antiCatholic bigotry (….and the usual personal attacks). Since there is a larger issue involved, I respond here to JR’s of 231PM on the 20th: I am not “inventing” JR’s “arguments”. Rather, I simply look at them for the conceptual material and the dynamics that are already there in them. That JR hasn’t really thought-through the material that he puts up – and is thus so often surprised by what flows from his material – is a reality to which he may want to give some sustained thought. We have seen this with LC as well, especially in this matter of Proof-Text thinking: persons will grasp for a particular quotation simply because it seems to them to support their preferred and already-reached conclusion; then – when the text is examined a bit and it turns out not to perform as they had hoped – they are invariably confounded and upset and – not to put too fine a point on it – surprised. Proof-Texting – hardly limited to these two commenters – too often passes for ‘thinking’ and for ‘education’, in my opinion. I have formed the distinct impression that such a Proof-Texting approach was what LC took away from his (purported) elite university experience: adopt whatever position you ‘prefer’, rustle up some quotations from this or that author (perhaps that author him/herself a Proof-Texty type) and call it a good day’s work. The presumption is that if you can string enough of them together with a modicum of grammatical coherence then you are educated and have established the chops of your position and your own chops as a position-holder and thus you are ‘educated’. JR’s position is somewhat different: you can educate yourself by “reading” and – implicitly – why then the need for a university education? He establishes this with a tendentiously selective parsing of the British academic usage of the term “reading” (e.g. X is reading History at Oxford). But of course, in the British practice, the student not only “reads” material, but then attends tutorials where s/he has to explain the significance of what s/he has ‘read’ and express coherently the historically-reasoned conclusions s/he has developed from that “reading”; and has to write all that up coherently as well. The Brit vision does not turn the university into merely one longish library “reading” experience. If one were to accept JR’s imagined vision of what a university “reading” experience is, then one wouldn’t really need to attend university to achieve it; one could simply – with as much skill and application as one could muster – troll libraries, bookstores, various groups, and the Web (through search-engine techniques) for congenial material. So, neither JR or LC have actually demonstrated university-type skills in their material here. LC’s presentation of various booky-bits through quotations can easily be construed as simply the fruit of a somewhat less-challenged competence than JR’s in the matter of such selective trolling for congenial quotes. The idea of actually having to ‘explain’ or ‘defend’ your theses and ideas about the quoted material seems alien to both of them. And that reality is handled merely by the Victimist mantra that if you doubt or disagree-with my ‘story’ or my material then you are merely attacking me and re-victimizing me. Perhaps refined to then lead to this conclusion: since you are attacking me then I don’t have to respond to what you are saying. The Stampede – so strongly enabled by the development of the Web – was lubricated precisely by the media – for their own purposes – accepting all of these ground-rules and presumptions, and simply amplifying whatever was claimed by either the story-tellers or their savvy counsel (who, in Jeff Anderson’s overall strategy, were urged to establish quiet but mutually-rewarding quid-pro-quo relationships with the media). Michael D’Antonio’s book – seeking to parade all the strategy in the service of the Abusenik Stampede – actually winds up revealing in disturbing detail just how well this strategy of Anderson’s was implemented, as was so very thoroughly described in the particular instance of the Boston Globe’s chicanery starting in the summer of 2001 when its new editor wanted to make a big splash for himself. "Challenged competence", Duh! Righty O! Cap"in LOL! Oh yea and the Catholics didn't want the bible in native lanquages either The world knows you don't want information getting out. Or people thinking for themselves. After all we have 2000 years of experience with the Catholic church. We remember what it was like when religion reigned supreme. Your religion, in particular, ruled for the longest time period. I guess like some Tennessee Williams character you never got over the loss of power. What kind of career did you have Captain Andy? Who would put up with a boss like you? Were there any suicides? Actually the Egyptian religion lasted the longest 3,500 + years. Judaism; Christianity and Islam are, arguably, all just Egyptian off-shoots. The media isn't here asking you questions; or giving you information; Dave Pierre is giving his opinion on what he says the media says regarding this subject. How would you report it differently than the N.Y.Times. for example? Or would you have reported any of the scandal (the cover-up) at all? Hey, has the Vatican started "The Big Gay Purge"? It is far better to attack the others faith, beliefs and personally villify them (so far as what you think you know) than to attempt to defend your astoundingly indefensable philosophical-political and undeniably bigoted nonsense. Repeat: Your leftist-anarchist philosophy is indefensible [Stupid] in the broader sense (for those self-proclaimed "elite academicians" who feign perennial confusion [a sick and failed ploy to degrade...busted]) and about other contributors comments, and simply disgusting when applied to the Church abuse matter. Your intentions are not to help abuse victims anywhere, your intentions are only to bash the Catholic religion and the Church. You are dirty from head to toe. Where is the analyses or commentary, by those opposed to TMRs positional articles- analyses (subject article? 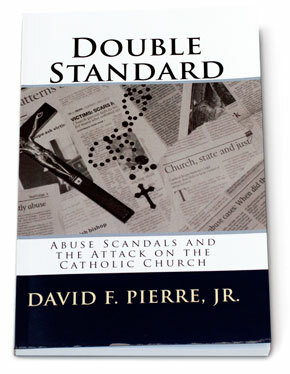 ), of the media, activist groups and prosecutors actions as pertains to the Church abuse matter? Not a sensible word from most of those TMR "contributors". Apparently, all they're capable of doing is attacking the TMR sites' Church-supporting commenters, nary a word about the article itself. Typical lefty tactics when their politics fails. Robertson "contributed" approximately 58 (and counting…) comments under the heading of this subject TMR article; not ONE of them addressed any of the details of that article – but, every one of them attacked commenters who supported the Church, TMRs analysis, or other commenters that endorsed TMR-supporting commenters (which, incidentally, is the point of the "dialogUE" game, you are supposed to either agree or disagree with the article and engage, similarly, with other commenters on the article). Problem here is that "I just can't live with the fact that as a young man I permitted myself to be that 'deer in the headlights' [what was it, four times?- even a stupid deer figures out how to avoid a car after a couple times-tops], and then of course I was so traumatized by the 'experience', that I decided being 'gay' was "good", but being Catholic was "bad". What a pure, heaping load of crap we're supposed to accept from these ridiculous imposters. Yeah, not. Learned[disabled]Counsel contributed 7 incomprehensible comments, the majority of which attacked (astoundingly feeble and failed attempts) Publion's analysis and comments on 'everything', with a few intentionally condescending "lessons" for me. My comments do seem to have a "special" effect on this prof-phony who tries so hard to impress with his [let's be generous here...] "musings" that it's painful to witness. His contributions invariably result in disconnected words and thoughts, meandering all over the blog-road, forever lost (GPS for lost, wandering words looking to form concepts out there, anywhere, yet?) for the lack of clarity and focus, save for Publions efforts to "interpret". He should thank -on his knees- Publion for his/her patient efforts in unwinding and unraveling LdCs babblings, to which he/she can then actually and honestly respond. The rest of us "unwashed masses", quite frankly, are not interested enough to make any attempt at decoding the LdC gobbledygook. Only a radical self-engrandising elitist-leftist could possibly be as insufferably obnoxious as LdC – this is that guy that took his beatings, in the schoolyard and on the bus, on a regular basis – no doubt (perhaps, it was the neighborhood Catholic kids that had to dispense those lessons – "…oh, they'll pay someday…"- heh, Fauntleroy?). Might be best to let the two or three silly dogs here chase their own and each others' tails (really, not going there), from now on. Meanwhile, some of us will ignore the lefts bigoted profiling of healthy/truthful-minded faithful Americans and Catholics (the real 99%) and continue to identify where in our society, no matter how many "protected classes" are faux-offended by our truthfulness, the fault of our society's ills for the past 50 year lie, for the good of our country and to maintain our God-given (not motherearth-giving, you "LOONS") freedoms. I was the good kid in school very quiet, Very Catholic. Very devout. I took religion very seriously. In my Catholic school education we were taught first and formost : Obey and show respect. If you didn't you were out. (First beaten then out actually). I wanted no one ever to know what was happening to me ; but to disobey?. I couldn't. I didn't know how. It must be hard for an older Catholic to hear all of this. You've believed for so long and I'm sorry if I hurt anyone's feelings. I'll probably say more that will do it again. I don't want to hurt people. I hate hurting people. But if it's a fight between truth and lies. For me truth telling wins. What I write is what I see to be true. You don't? Fine. You are free. Nah, they would NEVER lie or deceive to persecute the Catholic Church (and prosecute innocent priests), "truth-tellers", all.